Olivia Foster was born in New-York. In early childhood, she and her family moved to Portland. She attended American college of Healthcare Sciences where she earned The Master of Sciences in Health and Wellness. She is a certified nutritionist, health and wellness consultant, dietician and author. Olivia works with all ages of people in helping them achieve a healthier lifestyle. In 2016 she finally decided to write the first book about Ketogenic diet. With the growing concern of obesity and the need to consider healthier eating alternatives, there has been an increase in diet plans to help make the human body healthier and less obese. One of these dietary suggestions is known as the ketogenic diet, also known as a low carbs diet. 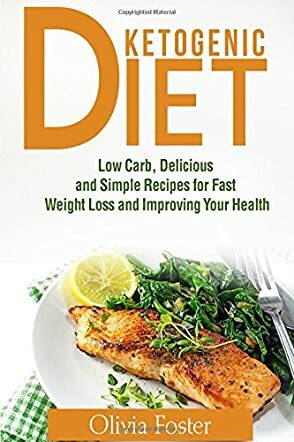 “Principally,” as Olivia Foster puts it in her book, Ketogenic Diet: Low Carb, Delicious and Simple Recipes for Fast Weight Loss and Improving Your Health, “the ketogenic diet involves high intake of fat, moderate consumption of protein, and tremendously low eating of carbohydrates….a dieting method that encourages the liver to produce more ketones.” And what are ketones, you may ask? Ketones are made when the body breaks down fat for energy. All very scientific stuff and it can get complicated. But author and food writer, Olivia Foster, makes it simple and easy to understand. She also includes a thorough list of good foods and bad foods to balance your ketogenic dietary intake. The best part is what follows her discussion of carbs and ketones and the ketogenic diet. Recipes! And lots of them! She has organized her book into different sections: seafood, meats, vegetables, snacks and, of course, everybody’s favorite, desserts. Each recipe is systematically presented, complete with an enticing color illustration of the finished dish, an organized list of ingredients, detailed instructions, and, most important, the nutritional facts. These nutritional facts are very thorough and almost read like a nutritional guide found on prepared food products. Very useful information. A great addition to anyone’s healthy cookbook collection.